In truth, I think I’m near broken hearted. From sweet Balamonoth and Nora McShane. Back to dear old Erin and Nora McShane. I’ll go back to ould Erin and Nora McShane. 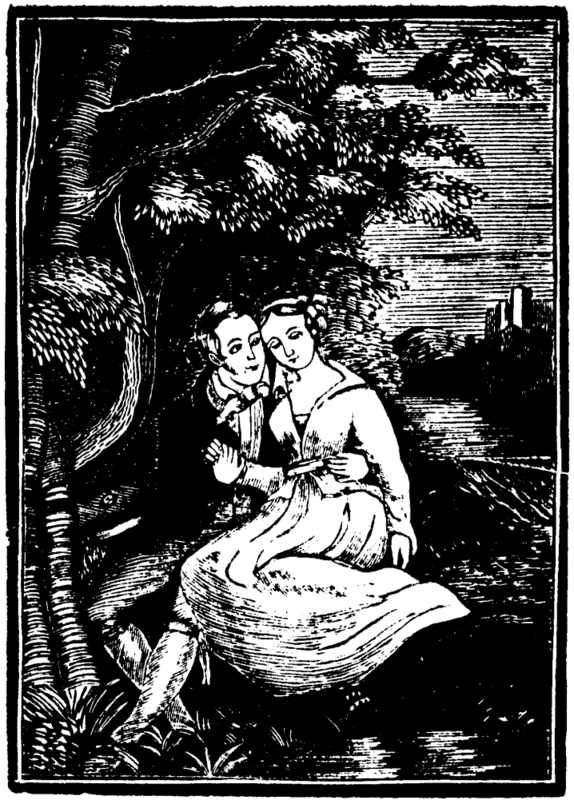 The text of “Norah McShane” was written by English poet Eliza Cook in 1838 when she was 20 years old. Cook was an outspoken advocate for women’s rights and a hero to many working class people in England and America. Several of her poems were widely known and set to music. I have yet to find a source for a melody in any North American source from oral tradition. However, a parody of “Norah McShane” called “Lake Chemo” written by James Wilton Rowe in the 1870s was collected in the woods of Maine by Phillips Barry. 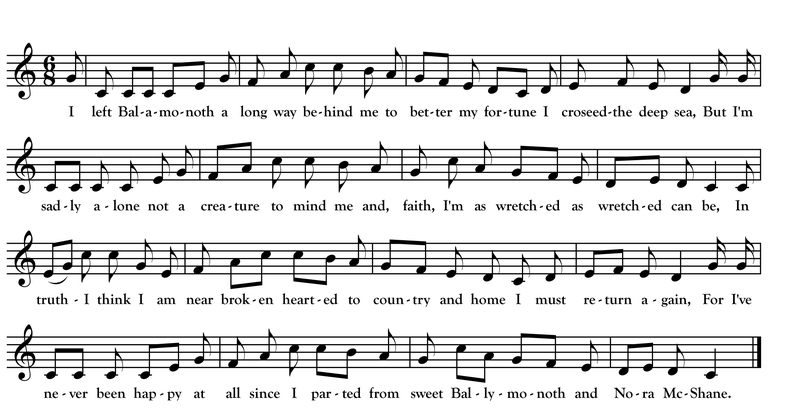 Rowe’s melody is a variant of the classic air Thomas Moore used for his “Believe Me If All Those Endearing Young Charms.” The Dean and Johnson versions suggest a longer phrase length than the Rowe parody so I blended Rowe’s melody with other elements of the “Endearing Young Charms” melody to get the melody above. The text is as it appears in Dean.